If you are an avid golf player and you want to combine your next holiday with a more special and tailored according to your needs golf holiday, then Australia is definitely a place worth considering. The country offers golf courses of outstanding architectural design and has a very well developed golf tourism network accessible on the Internet. Two things worth considering are the facts that the country has reverse seasons and that the official language is English, which makes it a nice and accessible destination for a winter golf break. In addition, Tasmania and the other group of Australian islands offer an exotic golf environment that could be really well combined with other holiday activities such as yachting, paragliding, or simply enjoying the beautiful pacific nature. A significant contribution to spreading and supporting the development of golf in Australia has the Australian Golf Union (AGU). The structure that was formed in 1898 has its headquarters in South Melbourne in a Victorian building known as the Golf Australia House, which also hosts a museum of the organization. AGU supports and represents golf in Australia on all levels by outlining and spreading the current rules of golf, organizing and supporting important amateur and professional golf championships, standing behind golf teams, etc. Since 2006 AGU has merged with Women’s Golf Australia to form what is currently Golf Australia. In 1982 a Golf Society of Australia was formed with the intent to research and preserve the golf history of the country. The society now manages the Golf Australia museum and library collection and collects data pertaining to golf course location. Australia organizes plenty of nationwide amateur golf tournaments on annual basis and there are tournaments with different target age groups – from children to seniors. 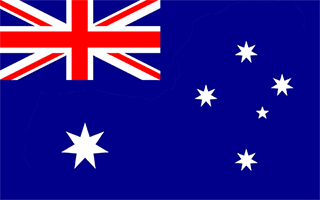 Australia is the homeland of the outstanding professional golf player Adam Scott who won 2013’s Master Tournament and keeps winning prestigious international golf championships. This year the 33-year-old Scott was ranked second in the Official World Gold Ranking following the ultimate golf star Tiger Woods. Among Australia’s best golf courses for 2012 ranked by the Australian Golf Digest Magazine are Royal Melbourne East and West, Kingston Health, Ellerston, Barnbougle Dunes, New South Wales, Lost Farm, the National Moonah, Victoria and Metropolitan. With its more than 1500 golf courses Australia accounts for 4% of the global sites for golf, coming 5th after the USA, UK, Japan and Canada. Golf real estate in Australia has been offering to home buyers to live on the grounds of a golf course or resort for a decade now. These types of golf resorts that allow long-term indwellers are called Integrated Tourism Resorts. They attract homebuyers through scenic landscapes and serene environment. The biggest number of such golf resorts is in Queensland, Australia’s third most populated area situated in the north-east of the country and bordered by Coral Sea and the Pacific Ocean. In golf packaged tourism, there are events packages and features such. While the former are concerned with participation or observance of particular golf tournaments, the latter are focused on tasting the thrill of playing on different golf-courses. As long as the features packages are concerned, Australia offers interesting in topography and architecture, mainly coastal resorts in public access golf courses. A three-day packaged golf holiday (they usually last between 3 and 8 days) costs between USD 300 at average resorts to USD 500 at a more luxurious, but still accessible golf sites. The first thing that should be reminded when speaking about Australian weather is that unlike Europe and Northern America, the country is situated in the Southern Hemisphere, which makes its seasons reverse to what we are used to. In other words the Australian summer stretches between December and February, and the winter – between June and August. This should definitely be considered when planning a golf holiday in Australia. The climate of this unique continent country is mild and temperate. The weather in the northern states is usually warm and mild throughout the year, while in the southern regions the temperatures could go considerably down, especially in the winter. The Australian climate is relatively dry, with considerably lower levels of rainfall compared to Europe and the United States. It should also be kept in mind that the country of Australia stretches not only over the continent of the same name, but also over the island of Tasmania and several other small islands. The country’s official language is English, its capital is Sidney. Australia is definitely suited to adventurous golf lovers who like combining their golf holidays with sightseeing and nature tours. As we all know, Australia is famous for its indigenous people and for its interesting animal and plant species that exist nowhere else on world. So if you want to swing your club and go to a hike to see a hoping kangaroo or a sweet koala bear afterwards, Australia is the place for you. Use these links to directly jump to the page where golf courses for a specific state would start.